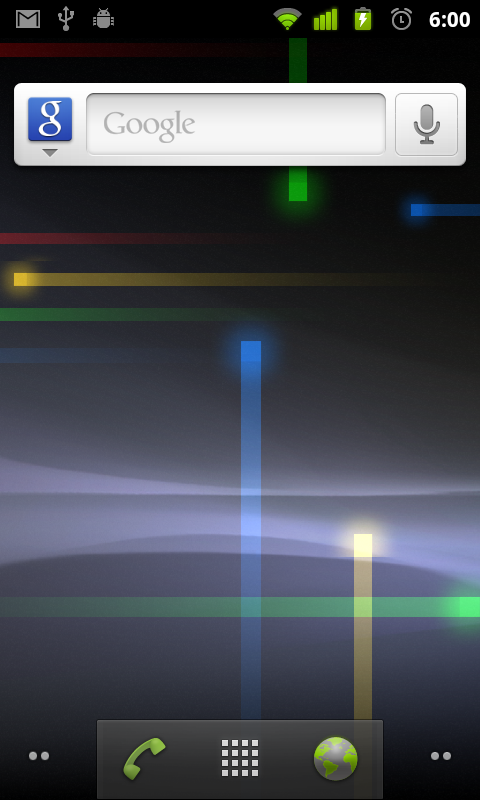 Oh, Android. How far you've come since the days of the G1 days. Actually, tomorrow, October 22nd, will mark 3 years to the day that Android has been available on consumer handsets in the United States, and the G1 on T-Mobile was concepción. With Ice Cream Sandwich finally revealed, Android has gone through its sixth major handset iteration (we're not counting Honeycomb, since it's a tablet-only OS, and wasn't open source, and it's sort of hard to find a good portrait picture of it). How has Android changed? 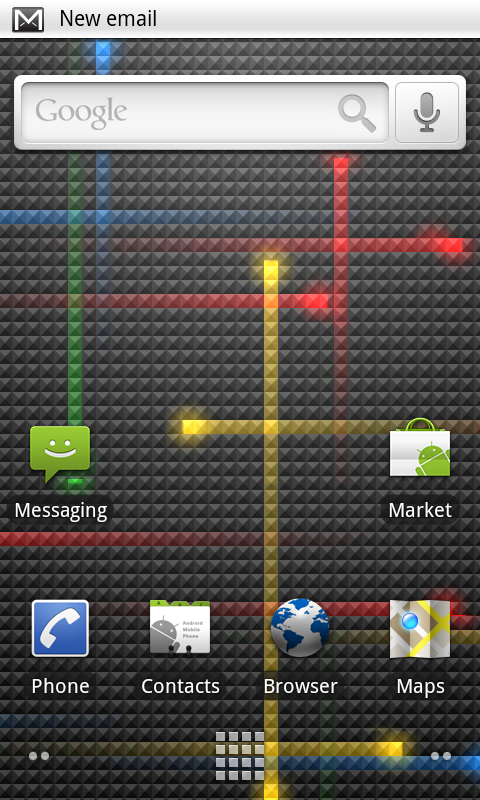 What better way to illustrate Android's evolution than its home screen, the hub of user interaction. Here's a look at the face of Android over the last 3 years. Donut was largely a backend overhaul for Android, and brought support for CDMA networks, text to speech, a vastly improved market, and revamped the Search functionality to not just search the web, but your phone as well. Minor visual changes (like a lighter notification bar color) were implemented, but generally, it looked pretty similar to Cupcake. 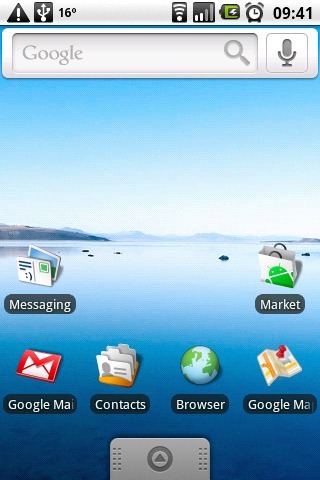 Éclair was Android's first visual overhaul since the company's acquisition by Google. Gone was the old app drawer, live wallpapers were introduced, icons were all revamped, and Android just started to look a whole lot better. Home screen dots were added, and menus were overhauled, as was performance generally. 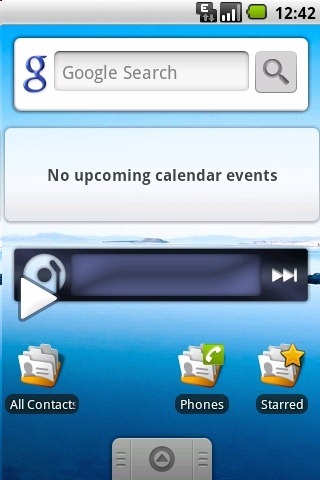 Initially, Gingerbread was supposed to be a "major" visual overhaul for Android. In reality, it was more of a boot polishing. 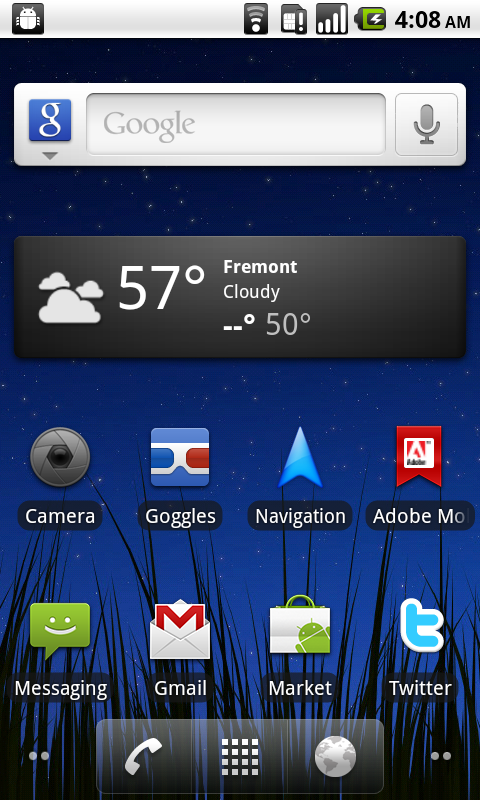 Gingerbread finally did away with the ugly, old notification bar, in favor of the black one you see above. The launcher icons were also changed, and the whole OS's color scheme was changed to black and green, with that nifty orange menu scroll glow. There was also the introduction of the cathode-ray TV style screen power-off effect, which was just awesome. Gingerbread brought a lot of backend improvements as well, major updates to Google apps, and performance enhancements. Oh, and a cool new keyboard. What's next for Android? Who knows. 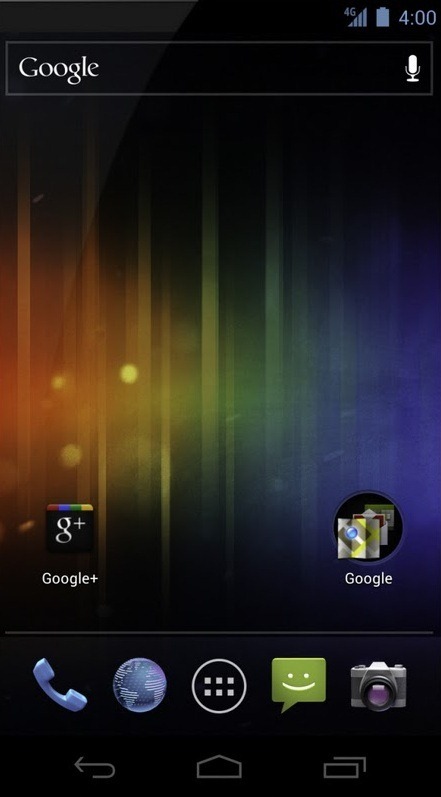 We know that "Jelly Bean" is a contender for the next name in the Android line!